As a landlord, you don’t have a lot of options when it comes to getting to know someone before they move into your home. You can do a security check and ask for payment documents, but when it comes to their personality – all you have are references. Once you make the decision to rent out your property to a stranger, it is up to you to do your due diligence and find a tenant who will respect your property as if it were their own, with little to go on. You will never know the person completely, and can only do your best in using your discretion to find someone responsible. Of course, you can do an interview, look at their resume, and take a peek at their LinkedIn page, but these tools are all based on how they see themselves and want the world to see them. It is necessary to speak with others who know the individual personally to see if what they say is true. These people will be able to give you a different perspective on how the person lives, works, and goes about their day. 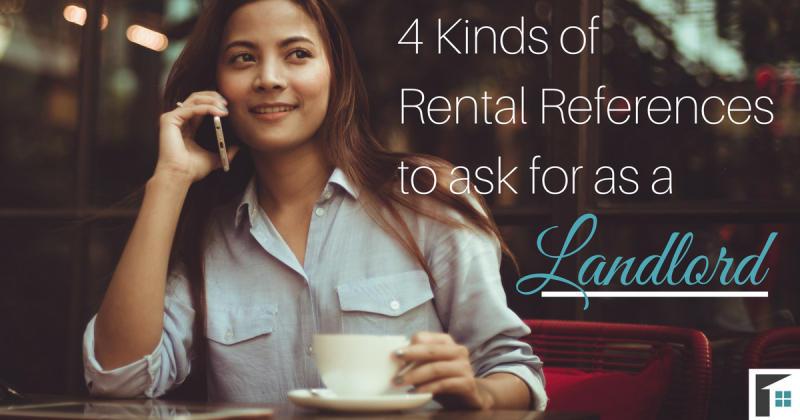 Here are 4 kinds of rental references to ask for as a landlord. When you contact a tenant’s friend or family member for reference, you can assume that the review will be glowing. These are the people who know your prospective tenant the best and generally want them to succeed. They will be able to provide clear and helpful insight about the prospective tenant’s characteristics from experience. As a result of being close to the individual, the feedback received from these references is often biased. It is beneficial to have this information, but it is necessary to review it critically. Use the information you gather from other references and compare it to the information given by the individual’s friends and family members. How long have you known the prospective tenant? Where does the individual currently work? Would you say the individual is responsible and reliable? Would you rent your own home to this individual? A valuable rental reference to attain is the prospective tenant’s current employer. It is this reference that will help you verify if the individual has enough income to pay rent, is responsible, and has good work ethic. Does the individual show up on time? Does the individual work well with other employees? Employers are the ones who conduct performance reviews and monitor the job being done, making them the perfect reference to recognize reliability. If an employer is happy with the individual’s work ethic and responsibility, you are one step closer to finding the person to rent your home! How long has the prospective tenant worked at this position? Has anything occurred for you to doubt their reliability? Can you verify the total income made by the prospective tenant? Would you recommend I rent to this individual? One of the best rental references you can get is that of a previous landlord. Not only will the landlord know exactly what you are looking for in this stage of the rental process, they can verify if the individual is a good tenant. They have had first-hand experience renting to the tenant and can inform you of payment tendencies, damages, and basic traits. If another landlord is unwilling to rent to this individual again or reports that the tenant was asked to leave, you may need to speculate why. That said, it could have been a personality clash or issue that arose from the landlords side, so don’t always write off a tenant immediatedly. Did the prospective tenant pay rent on time and in full? Was the property taken care of, or was there any damage done? Did the individual have a disruptive behavior while renting? A co-worker may have a different perspective than an employer, as they worked “in the trenches” with the prospective tenant. They have an inside view on how the person conducts their job, what their work ethic is really like, and how they interact with others. An employer can only see so much, as they are responsible for supervising an entire team. Meanwhile, co-workers are always working alongside the individual and have a better idea of their personality. It is these references that can give you the best idea of how your prospective tenant gets along with others – a trait important to maintaining a landlord-tenant relationship. How long have you worked with the prospective tenant? Does the individual have a good work ethic? Does the individual get along well with others (customers and co-workers) at work? In your opinion, would you say the individual is responsible? 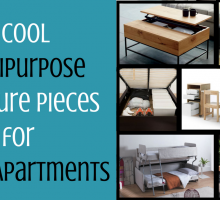 Most times you will get a clear idea of just what the tenant will be like. If you find that the responses from references vary, it is best to trust your instincts and move to the next candidate. 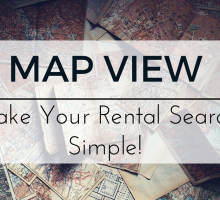 Once you have contacted all the rental references and asked the necessary questions, be confident in your decision. Soon enough you will be finished the rental process!